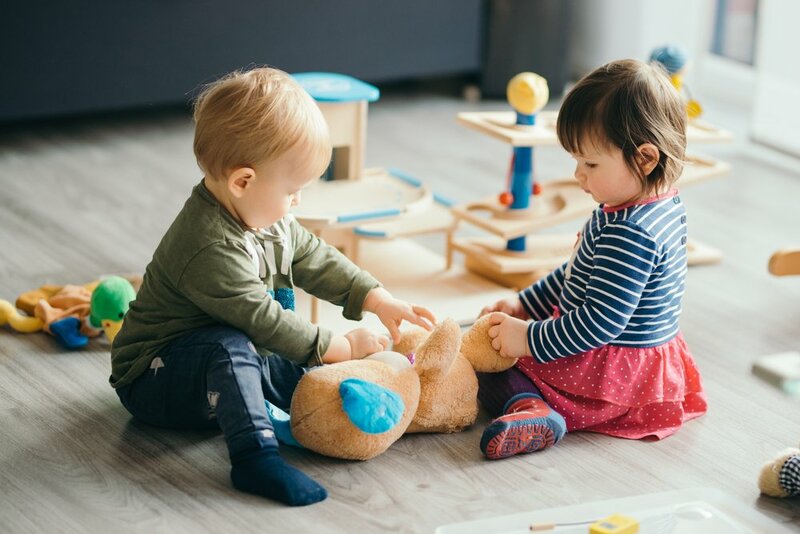 Beyond being lots of fun and encourage imaginative and physical play, being friends with other kids and interacting with peers is an important building block for your preschooler’s social and emotional skills development. According to The University of Georgia’s Cooperative Extension Service, having frequent experiences with other children can help your child learn how to handle social interactions and challenging, but normal, situations, like being fair, share, take turns, set and respect limits, arrive at a compromise, and cooperate with others. Although for some kids making friends comes naturally, other children might need to experiment with some trial and error before feeling comfortable enough to make new friends. Be patient and supportive as your kid learns new social skills, and try to give helpful and positive feedback on his progress. Giving a bit of praise, smiling, or hugging goes a long way with preschoolers! Teach your kid social skills. Children that are friendly, take turns, show kindness, and tolerate frustration tend to make friends easily. Help your kid identify these behaviors and point them out when other’s do them. Show and tell. Be specific about the things that might make it easier to play with other kids or to make new friends. For example, if you instruct your kid to be nice with his playmates, show him that this means sharing or taking turns, smiling, or saying “please” and “thank you”. If you tell your child that playing too harshly or being aggressive will push away other kids, explain that hitting or biting hurts and how it makes other kids sad. You can also use this as an opportunity to learn to apologize by saying “I’m sorry”. Model trust, support, and consistency. Young kids learn their starter-pack of friendship skills from their relationships with mom, dad, and siblings. Practice makes perfect. Children need to try out things by themselves in order to acquire new skills, so giving them the opportunity to practice making friends is essential.